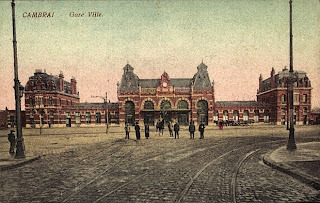 An old postcard of this rather appealing old station in France (département du Nord) which is still in use today. Cambrai was connected in 1858 to the Paris-Brussels main line by a branch from Busigny and rejoining at Somain, near Douai. 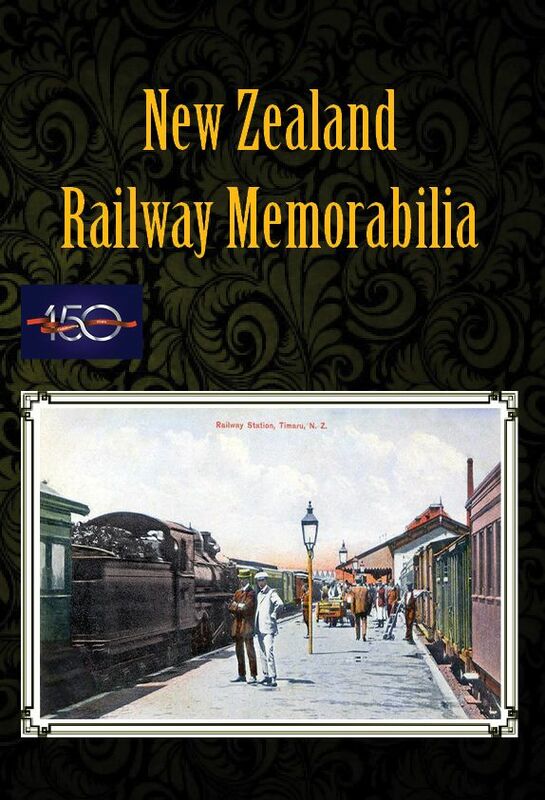 A single track line winding between Cambrai and Douai was opened in 1878. Other lines of intérêt local appeared in the 19th century, notably in 1880, the Société des Chemins de fer du Cambrésis that operated three lines between Cambrai, Caudry, Saint-Quentin, Le Cateau and Denain. A line for agricultural use from Cambrai to Marquion, now out of service, also opened in 1898. 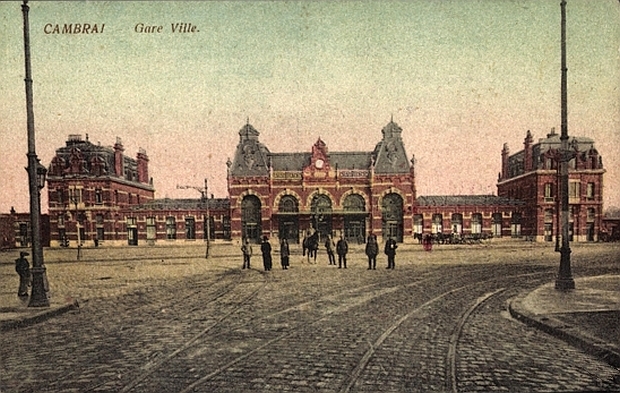 The Station of Cambrai was also the terminus of a standard gauge secondary line connecting Marquion and Boisleux-au-Mont.